It’s an overcast day here in Chicago. When picking out my clothes, I often choose them based off my mood. So it makes sense that I wore basically all neutrals to fit in with the weather. I paired my gold Nikes with linen pants and a sweater from Ann Taylor Loft and a Lacoste sweater. The bag is my Dad’s old call bag from the late 70s-early 80s. The last picture in this series is proof that water taxis do exist! I’m from a small city in Texas, so even the idea of cabs being everywhere is strange to me. 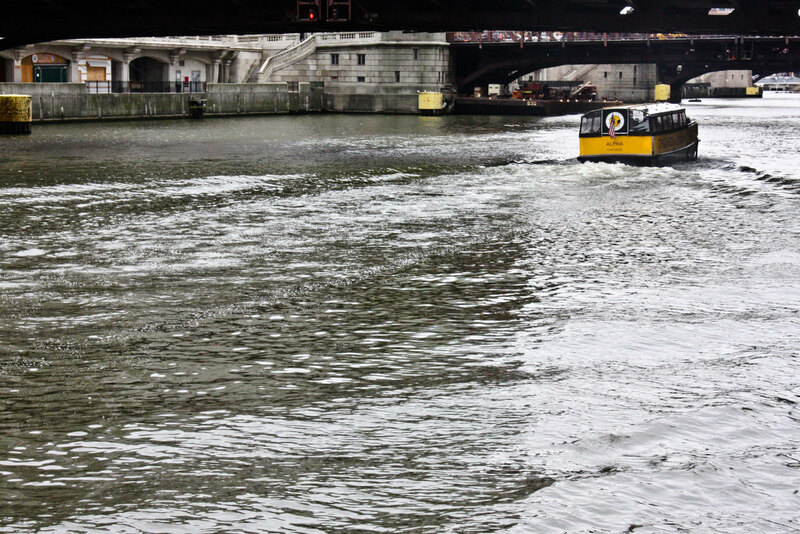 When I first moved to Chicago, I heard a friend talking about taking the water taxi- and I honestly thought it was as joke. But here’s the proof- they are quite real. Love your pictures and the blog!